No state legislators have pre-filed a proposal that would require some Missouri police officers to wear body cameras. Several police body camera bills were filed last year. Republican Governor-elect Eric Greitens has advocated for further protection of Missouri’s law enforcement officers. Whether his support goes as far as requiring police to wear body cameras is unknown. A controversial resolution proposed last year that died in a House committee would have asked Missourians if churches and businesses should be protected from penalties for denying goods and services for gay weddings. The architect of the legislation, Lake St. Louis Republican Bob Onder, is reportedly not planning to file the measure. Others could file it. Democrats and Missouri’s incoming governor oppose such legislation. Another proposal not pre-filed includes one that would ban discrimination based on sexual orientation or gender identity for things like housing, in the workplace and access to public bathrooms. Republicans, who hold a supermajority in both chambers of the legislature, generally oppose such legislation. The measure was sponsored last year by Senator Joe Keaveny (D-St. Louis), who resigned after the session ended to take an administrative law judge position. 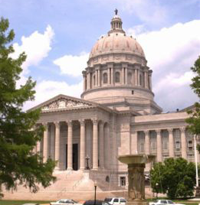 This year’s legislative session begins on Wednesday. Lawmakers have several weeks to file bills for 2017.